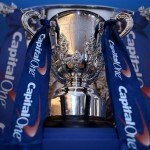 Watch online UEFA Europa League Final. The UEFA Europa League, which was previously called the UEFA Cup, is an annual association football club competition organized by UEFA. The competition has been running since 1971 for eligible European football clubs. Clubs qualify for the competition in one of two ways; First, based on their performance in their national leagues and secondly, through their performance in cup competitions. Though previously known as the UEFA Cup, the competition has been called the UEFA Europa League since the 2009–10 season. This change was brought about due to a change in format. However, despite the change of name and format, in UEFA footballing records, they are considered to be the same competition, with the name change simply being a re-branding. Overall, the competition has been won by 27 different clubs, 12 of them have won the title multiple times. The most successful clubs in this tournament are Juventus, Internazionale, Liverpool and Sevilla with three titles each. Ever since the change of name and structure of the competition in 2009, no club has been able to manage consecutive wins. Sevilla beat Benfica 4–2 on penalties in the 2014 UEFA Europa League Final to become the current champions. What makes this year’s final more enticing than before is that if Sevilla wins, they will be the first team to ever win back to back titles since the format change, and also become the new record holders of 4 titles! 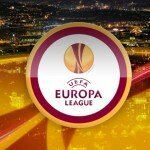 Will Sevilla become UEFA Europa League record holders (4 times winners!) 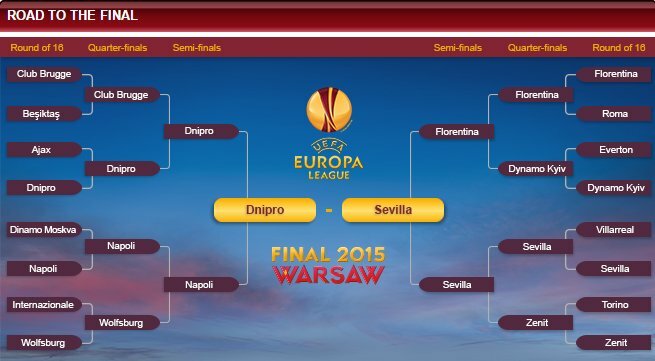 or will Dnipro manage an upset? Find out on 27th May 2015 with SimpleTelly and ITV!